St. Augustine is one of my favorite places to visit in Florida. It’s the oldest city in the United States, steeped with history, and loaded with ghostly adventures. Ghost Hunters filmed one of their best shows at the old lighthouse in St. Auggies. There are beaches, segway tours, museums and more. You could never do it all in one weekend. Plus, the locals are super friendly and helpful. This is my second visit but it will most certainly not be my last. This time I stayed away from the touristy food places and took the advice from my pals at Chowhound.com. We ate where locals go for most of our meals. Salt-Water Cowboys won by a country mile. It couldn’t be more than a 10-15 minute drive from downtown but I guess because of its old Florida feel and unspoiled water views you feel transported to another time. The outside was so old world looking that we were pleasantly surprised by how retro cool it was inside. Kind of rustic upscale cowboyish I guess. We got there around 4:30 pm but it doesn’t open until 5:00 pm and there was a pretty good crowd waiting to get in when the doors opened. Between admiring the views, looking at all the awards they have lining the front door and chatting with other guests, the time flew by. The doors opened and we were seated immediately. I am sorry to say that I don’t remember my servers name but he was polite, well versed about the menu and extremely efficient. 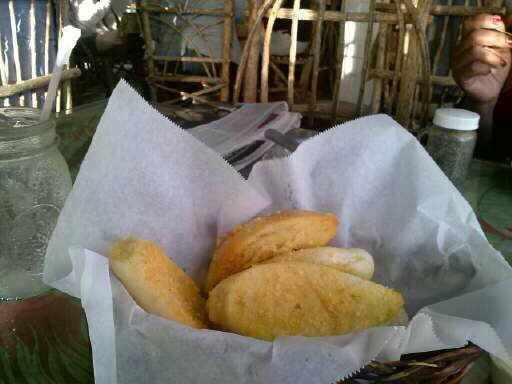 While going over the menu our waiter brought us a beautiful basket of warm bread that we demolished in minutes. 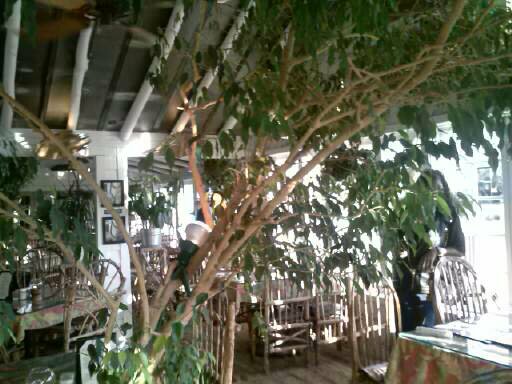 I chose their award winning Clam Chowder as an appetizer and was impressed. It was silky smooth and loaded with nice chunks of clam, delicious. 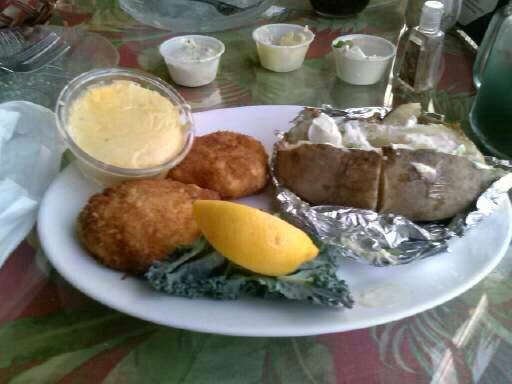 For my entrée I had crab cakes which were not on the menu but was a special of the day. Like the chowder, they were loaded with crabmeat and delicious. My friend, who does not eat seafood, ordered a huge burger and said it was juicy and flavorful. After eating a house salad and the bread, she couldn’t finish her meal. I did finish mine. If only I had more room to sample the frog legs or alligator, I would have been a happier camper. As it was I didn’t have enough room for dessert. I don’t remember the exact amount of the bill but it was under $50.00 for two. 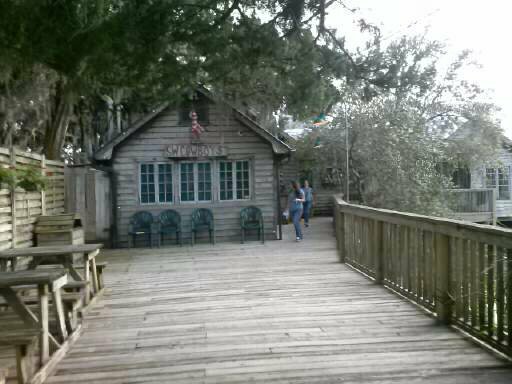 So, this place is a must go if you are planning on visiting St. Augustine. 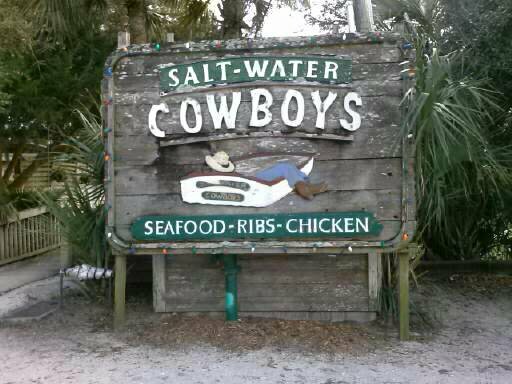 If you’re a seafood junkie it’s heaven and if not you will still find a little bit of paradise at Salt-Water Cowboys.